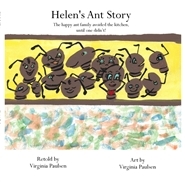 This is a children's story about a happy little ant family, with a great moral for kids. The proceeds from this book help the homeless and foster young adults exiting the system toward becoming independent and productive members of our society. Please visit www.FosterYourFuture.Org to learn more! Thank you for your support.